Leeds City Council has passed a reserved matters planning application for Thorpe Park following its recommendation for conditional approval earlier this month. The decision comes as major retailers agree to take larger units at the retail and leisure park, with M&S anchoring the scheme with a 13,000 sq ft store and trading space of 9,000 sq ft, following Next which agreed terms last April to take 18,000 sq ft. Arcadia Group and TK Maxx also join the retail line up with 10,000 sq ft units. 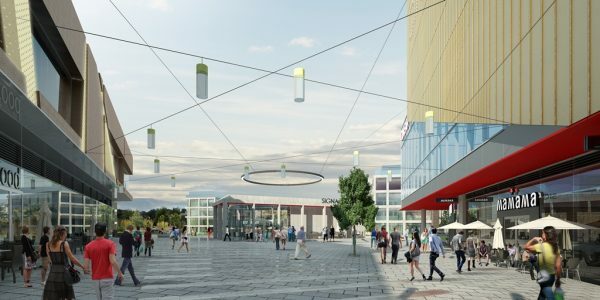 Discussions are ongoing with a number of other retail and leisure operators, for the provision of a multi-screen cinema, gym and range of restaurants. Acting on behalf of Scarborough Group International and Legal and General, The Harris Partnership lodged a reserved matters application for the retail and leisure phase of the Thorpe Park development in May. Construction work is due to start on the 300,000 sq ft retail and leisure park in summer, with the scheme opening for trade in autumn 2018.